A note on Winchester patterns. 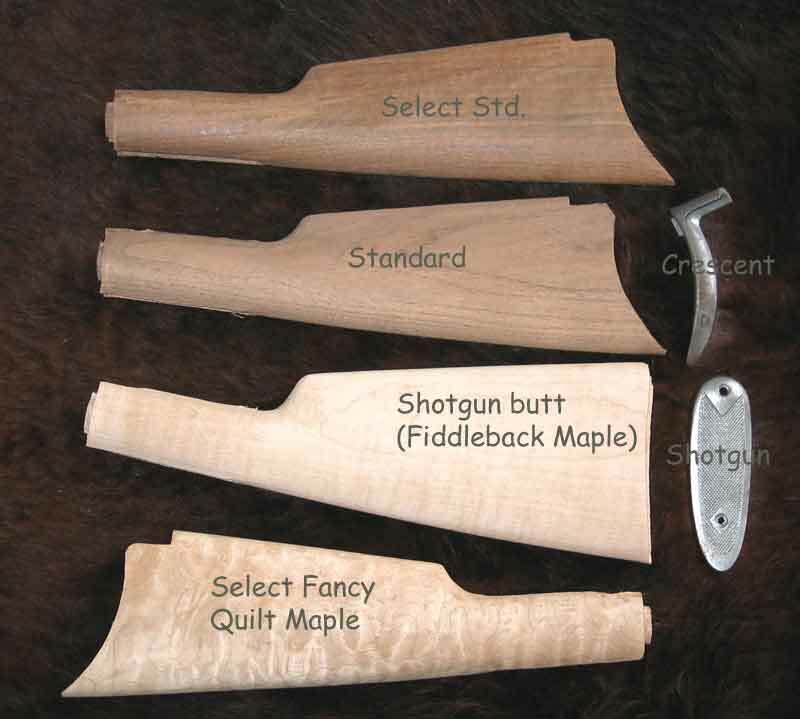 Most of my patterns are for Pre-war models made in the USA by Winchester. I do not make stocks for some imports as they are not the same fit, especially the forearms (Rossi and most Italian 92's are an example) Buttstocks for the imports can usually be adapted by an experienced fitter. PLEASE ASK before ordering. These are my patterns for the Win. model 1892 and 1894. A couple different grades of wood are shown as an example. Here is an original 73 Winchester .32 WCF owned by Ron Troyer of Whittington Center. Ron had a slab of Walnut grown at Whittington and wanted a stock cut from it. 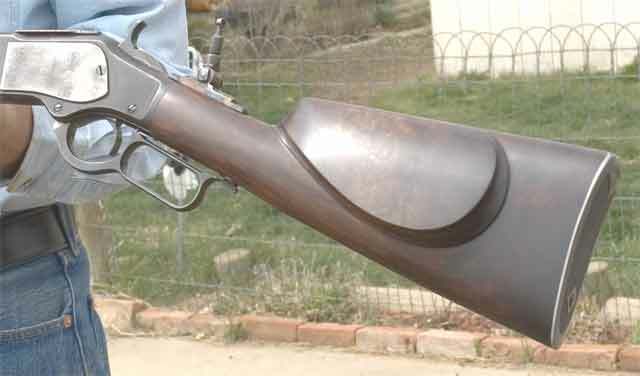 This stock was pretty much hand shaped as I did not have a shotgun pattern for the 73. He did a nice job making a new buttstock mate up with the original forearm. Ron used this at the 2005 Lever action Silhouette Nationals and pretty much cleaned house on everyone. A 73 clone, done by JC in France. So far the Italian guns have been pretty faithful to Winchester dimensions, at least in wood to metal fit.